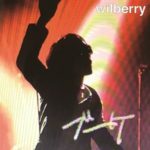 出演 : wilberry / LOSTIME / and more…. 出演 : wilberry / ジャンダリラン / The Fuzziyama Surfers / and more…. © 2019 wilberry All Rights Reserved.